Su carrito contabilizará 15.80 ME punts para canjear en futuras compras. 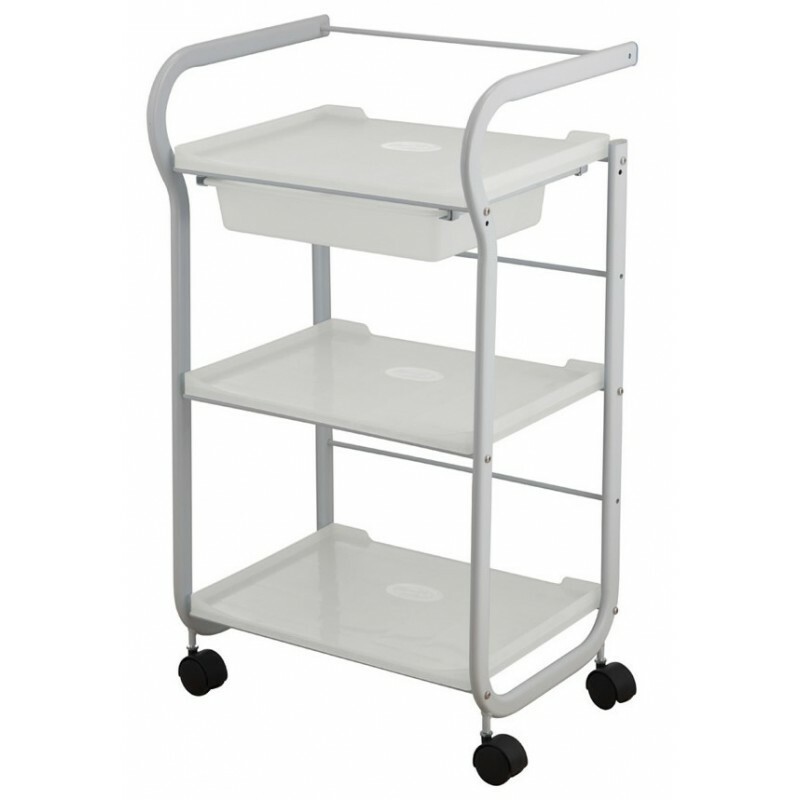 Minimalist metallic trolley in white. It is equipped with 3 roomy shelves and a sliding plastic tray. Complete mobility thanks to its 4 wheels and the rear handle.